Imagine this: you are a small business owner who is conducting business from the sanctuary of home. But as your business grows, so does your need to have a more professional, visitor-friendly office that doesn’t include toys on the floor, dishes in the sink and small humans asking for juice boxes. Solopreneurs know that business growth is a blessing. But what if your company is at the point of needing a more professional, off-site presence, but your budget simply can’t handle full-time office rent? The answer is coworking. Coworking became a presence in the U.S. around 2005, but countries such as Germany and Austria were actively using the concept as early as 1995. In 2005, the first coworking space was opened in San Francisco by programmer Brad Neuberg in reaction to “unsocial” business centers and the realization that home-based entrepreneurs were struggling with business growth and an unproductive work life. 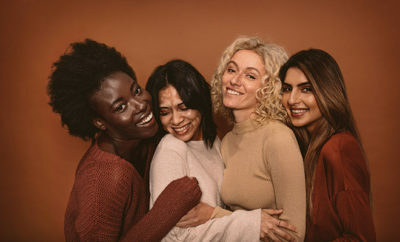 In 2006, another robust collaborative space, The Coworking Wiki, started in San Francisco, co-founded by Chris Messina, the creator of the Twitter hashtag. The common denominator among all past and present coworking locations is that they are all designed to be places where small businesses can have a company presence and an office area to call their own. This newfound presence also comes with an option of renting on a monthly basis or even an hourly basis. It’s also a place where like-minded business owners can come together with fellow coworking members to brainstorm and share leads. Typically, these coworking options are attractive to work-at-home professionals and independent contractors who are tired of working in relative isolation, or to people who travel frequently but still need a quiet, stable place to do work and make phone calls. Thanks to today’s technological advances, business owners and freelancers have the luxury of a more independent and mobile work style that allows them to work freely from nearly any location, at any time. Many current coworking buildings offer service packages to their members that include office space, business support services, simple security measures and conference facilities for use by the day, week, month or longer. Other coworking locations offer more simplistic and pared-down options such as a quiet space to work, free Wi-Fi, use of shared meeting rooms that can be rented by the hour and the companionship of others. More often than not, solopreneurs need to supply their own office furniture and supplies or share provided amenities with other members. The big sister to basic coworking sites is the professional office center. These centers are like a basic coworking space on steroids. Professional office centers typically offer single offices for rent, business support services, more advanced security measures, office equipment such as copiers and printers that are shared, and conference facilities for use by the day, week, month or longer. Members also benefit from energy-filled networking groups, education and inclusion in a B2B directory. 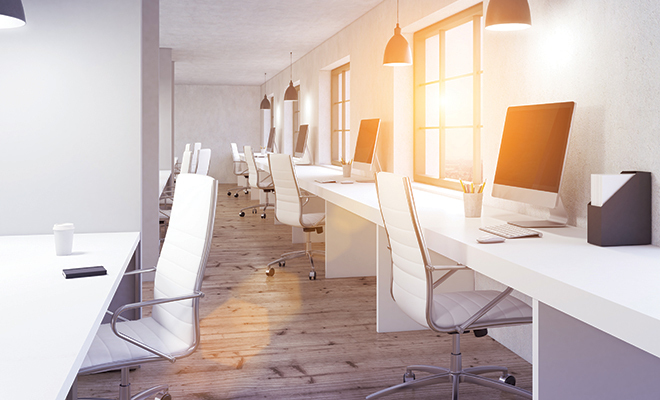 The popularity of these office centers are on the rise as more professionals are seeing the advantage behind renting cooperative space in an upscale, flexible, cost-effective place that also allows them to keep their own staffing costs down. These office centers are also becoming an exceptional place for like-minded entrepreneurs to meet up with others who, like them, are looking for the support they need to be better able to face the unexpected challenges of business in the 21st century. Sources: deskmag.com, en.wikipedia.org, huffingtonpost.com, regus.com and tiki-toki.com.